Today we rolled out a brand new version of our rental application and screening tools. After months of research, iteration and feedback from Cozy renters and landlords, this newly redesigned piece of Cozy brings even more focus and efficiency to the application/screening process. We've been working with landlords around the country (we're currently being used in over 200 U.S. cities/towns and 37 states), and have worked hard to distill the screening experience to a series of quick decision points. The key facts about single applicants or a group of roommates are all available at a glance. We enable renters to verify themselves as much as possible through popular services, employment verification, and through testimonials from previous landlords and other references. While no method is foolproof, we're confident that a Cozy applicant has been given lots of opportunity to make a landlord's job much much simpler. 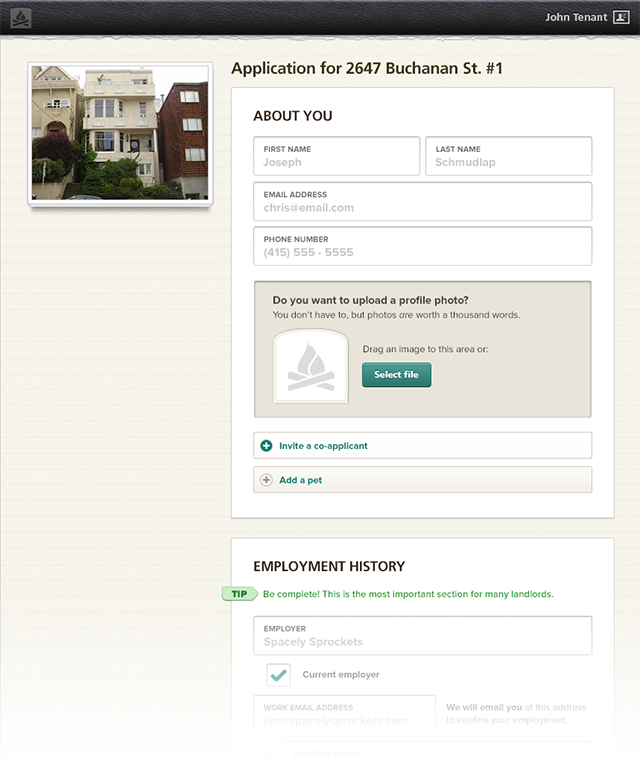 Here's a single applicant's snapshot. For renters, we've created an application that is streamlined, communicates pertinent information to potential landlords, and ensures you always have control of your information. 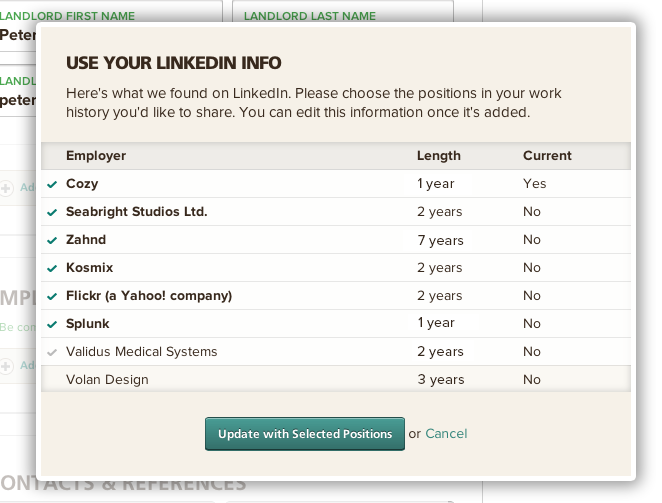 It's important for folks who use Cozy to stand out, and to that end Cozy enables you to verify your employment with your work email, allows you to request testimonials from references and previous landlords, and allows you to easily pull in employment history from services such as LinkedIn. 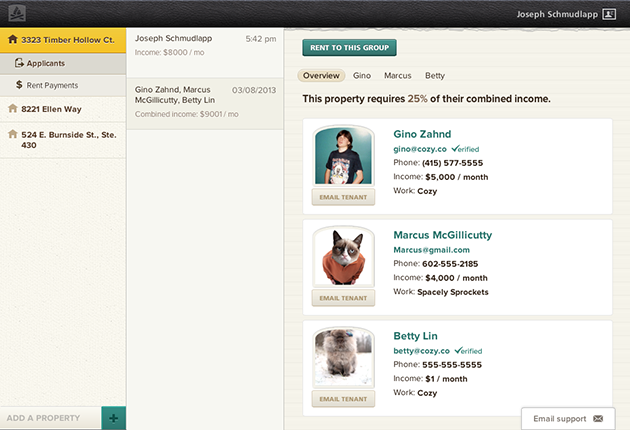 The Cozy application is also about 75% shorter than most rental applications, and takes a few minutes to complete. If you want to save your application, it also becomes a reusable Renter Profile, which is handy when you need to apply to multiple places. Our ultimate goal for both renters and landlords is to make the entire process of renting, from first contact to move-out, as elegant, transparent, efficient, and safe as possible. 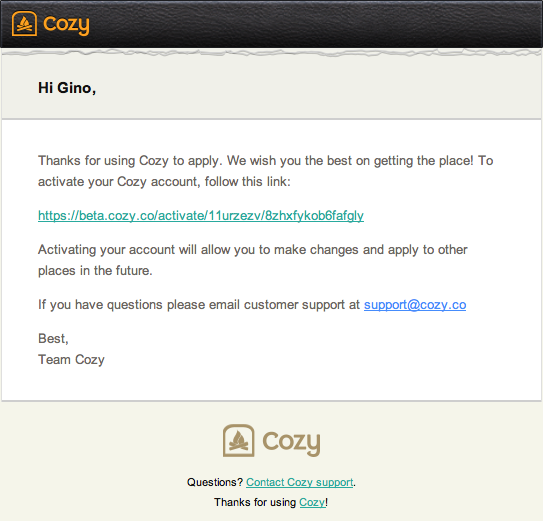 We want applying to a place using Cozy to be the antithesis of how things currently work in the world. No more paper applications. No more fax machines. You should always have control of your private information. You should never have to give a stranger your Social Security Number. After all, it's your information. 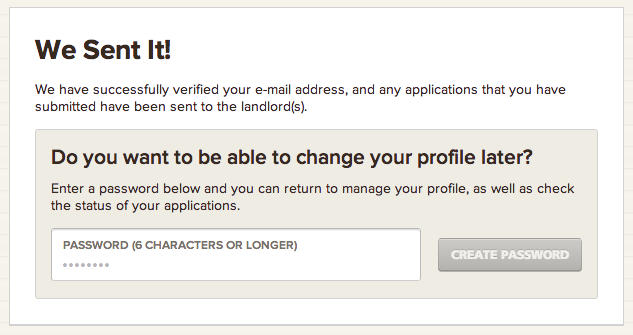 No landlord can use Cozy to collect applications without first being identity verified. Feels better, right? This is just how it should be. For landlords, we live in a world where there is often a ton of available information about any given person, but it isn't always easy to find. The best tenants are most often the ones who share the most information up front. 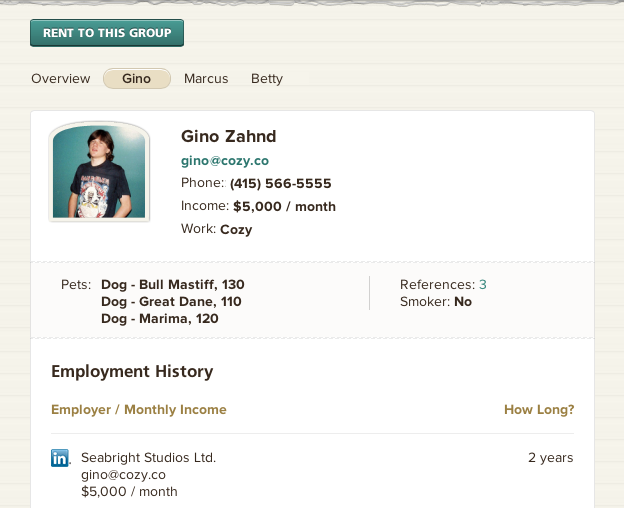 Cozy gives your applicants the ability and incentive to do that, with very little work on anyone's part. You get the information you need to make decisions, and your renters can feel comfortable sharing that information because it is secure and in their control. These screening tools are just the beginning for Cozy. When success for applying and screening is easier to achieve, it's a great starting point for a rental relationship.